David Letterman returns to television this fall to proclaim his love for the planet and rant against those who are destroying it. He is coming out of retirement to share his concern about climate change and the importance of renewable energy and solar energy in particular. This is not his usual comedic shtick, instead, he will be hosting an episode of a program on ecological degradation and environmental action. 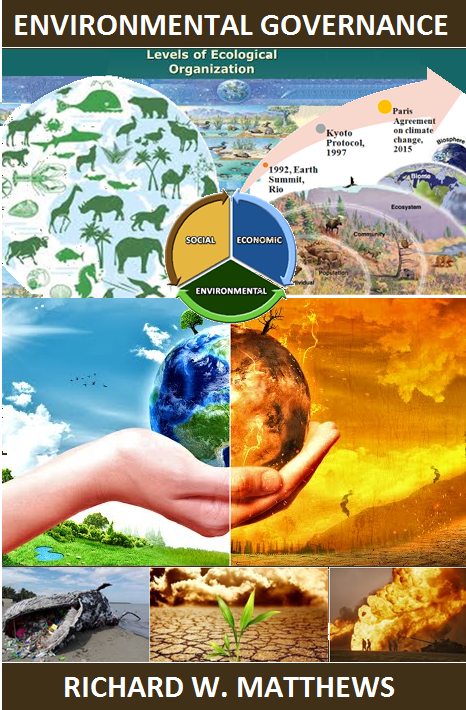 The program is an Emmy-winning climate change documentary-series called, "Years of Living Dangerously". The show chronicles life in the Anthropocene, it tells the story of those who contribute to climate change and the ways this is impacting life on Earth. In addition to exposing environmental villains who are ravaging the Earth, it also explores solutions to the mess we have made. Letterman's environmental sensitivities were on display when the subject arose on The Late Show. The health of our planet is a cause that Letterman genuinely believes in, perhaps his views are informed in part by the fact that he is the father of a young child. 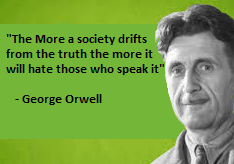 He has used his celebrity to rant against oil and fracking. In the episode that he hosts Letterman travels to India to examine how that nation provides energy to its entire population. We know that renewables can provide all of the power requirements of both India and the US and we know that it is theoretically possible to power the entire world entirely with solar energy. "I've created, excuse the expression, kind of a love affair with this. Think about the coal-fired, dangerous, smoke-belching generating plants, and then you look at this and it's friendly. There's something very appealing about this, and it's smooth. Look at it: I can touch it and it's safe. I put my head right there on it." Although the subject matter is serious Letterman cannot help but offer a few laughs along the way. 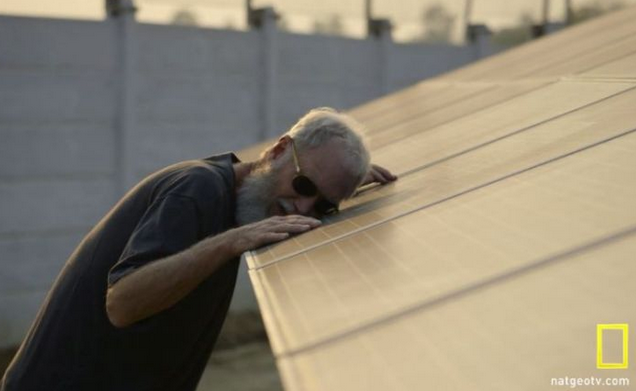 Watch his solar panel segment called "Into the Light"
The Letterman episode also includes an interview with Indian Prime Minister Modi. In this interview Modi suggests that India may be the first nation to be powered entirely by clean energy. India currently has an interesting energy mix that runs the gamut from very clean (solar) to very dirty (coal). As the world's third-largest coal consumer many are troubled by India's use of this GHG intensive and pollution causing form of energy. Environmentalists decry the fact that India is expected to import more coal than China in the near future. However, the situation is not so simple, Modi claims he is using coal to help sell solar. As explained in a Think Progress article, India's government has ordered state-owned utility, NTPC, to sell electricity from solar power along with electricity from coal-fired power. The idea is that this bundling can help to augment solar's position in the country's energy picture and raise its profile in the nation's economy. 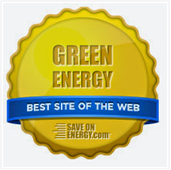 Many see solar as the most readily available and therefore important form of renewable energy. Modi argues that bundling energy derived from a mix of solar and coal it will expand the production of the former and reduce the cost. To help bring the government's policy to fruition NTPC will construct 15 gigawatts of solar over the next four years. Although in India coal is still cheaper than solar, we have seen elsewhere that solar has become the cheapest form of energy on the planet. When partnered with declining battery costs, you have a looming opportunity for massive growth. While it is easy to villainize coal in India's coal industry has actually been investing in solar for years. The largest coal company in India (Coal India) has installed solar panels at nine installations across the country. The Indian government is committed to the ambitious target of producing 100 gigawatts of solar capacity (both local and farms) in the next seven years. The nation currently has 4.5 gigawatts of installed solar capacity. One of the most intriguing parts of India's solar ambitions is that it would bring electricity to the 400 million people in rural villages that currently have no power or are powered by diesel generators. This is the second season of Years of Living Dangerously and it premieres on National Geographic channel on October 30th. Other hosts this season include Arnold Schwarzenegger.